Peruvian Melina and Irish Daragh met working in a multinational corporation. They were living in Poblenou and liked going out a lot. 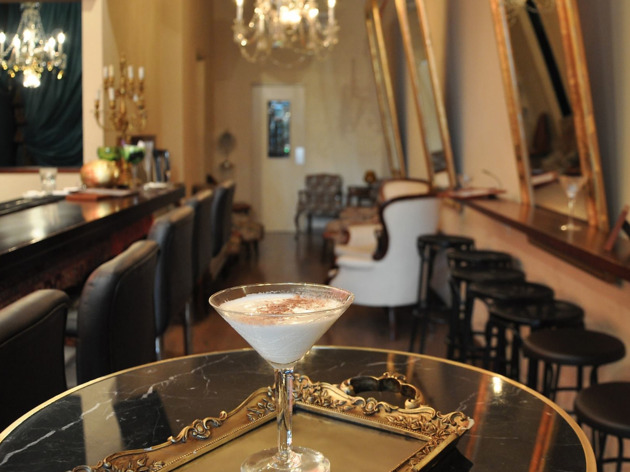 They often thought about setting up their own bar, and one lovely day in 2013, Meli gave the green light and they opened Madame George in their own neighbourhood. It's designed by Daniel Spinella, who opted for a flamboyant wallpaper and a teardrop lamp that looks like it was taken out of your rich auntie's living room. 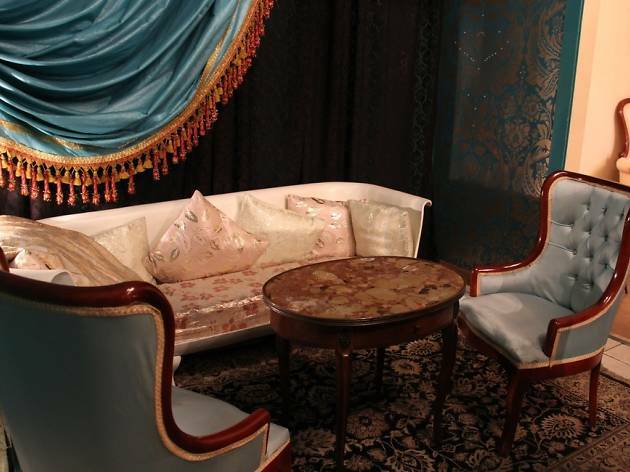 You'll also find gold-framed mirrors that lean out a bit, like in palaces, and above the bar is a patchwork of rugs. 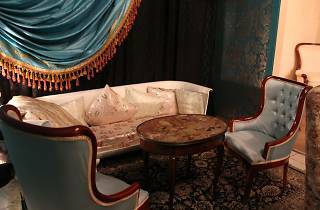 The room you can reserve for a group features turquoise curtains, bejewelled wallpaper and rococo armchairs. 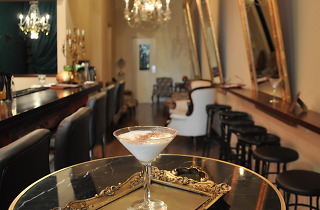 This is a cocktail bar with a gorgeous selection: their €8 lychee-tini is unforgettable, made with vanilla-infused vodka, blended lychee, apple and lemon juice, and a touch of lychee liqueur. They've got more than 25 varieties of Caribbean rum – star brands are El Abuelo Centenario from Panama and Peru's El Millonario – and rare Irish whiskey like The Wild Geese. 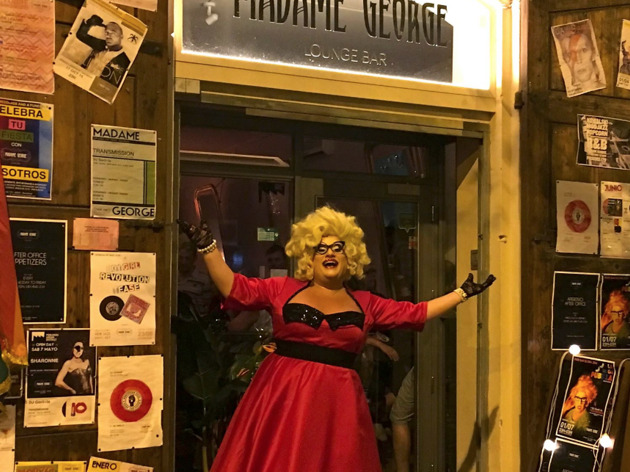 On Fridays DJs come in to play (like Swiss DJ Gordo who loves 7" tracks and plays northern soul and funk, and gets everyone dancing) or there's a drag show with stars like La Mega Pubilla. 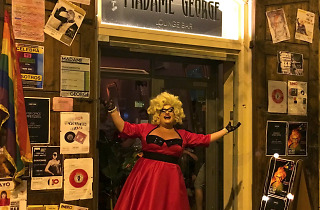 Madame George brings a bit of joy and glamour to the neighbourhood. There was a Dj named Gördis from Sweden, could he be the same guy as Gordo.